At Albert Goodman, we fully embrace the role that technology plays in every part of our professional and business lives. Few technologies have revolutionised an industry in the way that accountancy software and online accounting have changed the way we manage small business accounts. 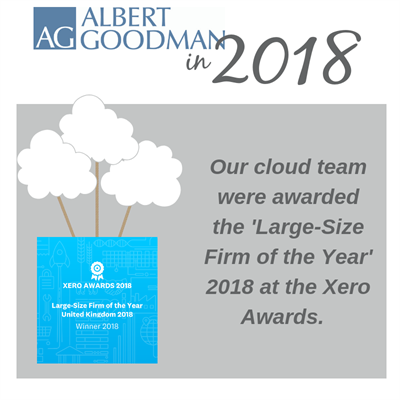 Where many firms still shy away from the idea of cloud accounting and more automated processes, Albert Goodman is embracing the technology and developing it into a focal point of our accountancy service. As a Xero platinum partner and the winner of 'Xero's Large Firm of the Year' award, 2018, we are experts in all things Xero and are keen to pass on our know-how to people that want to learn a little more. These free drop-in sessions are ideal for those who want any of their pressing Xero questions, answered by an Albert Goodman Xero expert. Tea, coffee, and pastries provided!